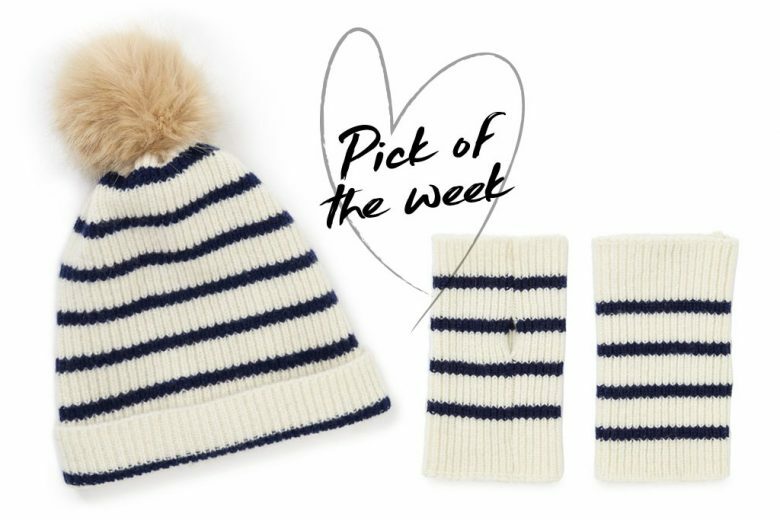 With a cold snap is forecast, the Jigsaw Breton Stripe pom pom hat and mittens will give your winter wardrobe a much-needed January boost. The classic stripe has been reworked into accessories for a fun alternative to the building block of casual looks, the Breton top. Made of 100% Irish wool in a ribbed design, they’ll help to keep you warm and cosy, as well as adding interest to your outerwear look where your extremities are the only thing on view! Buy the Jigsaw Breton stripe mittens and Breton stripe hat.